A member of the Building Owners & Managers Association, Frank Torre and the founder and owner of Torre & Bruglio, Inc., a landscape and horticultural contractor with a diversity of project experience nationwide, Frank Torre is a recipient of a number of coveted Awards in his industry. Frank Torre worked closely with local government committees in installing, maintaining, and managing a major promenade along the Detroit River as part of the city’s beautification program. Apart from leading his professional endeavors, Frank Torre is actively involved with a number of civic and charitable organizations in and around his community for which he also received a number of Awards for his efforts. These include Boys Hope Girls Hope of Detroit, in which Frank Torre served as chairman of the board and helped to raise millions of dollars in funding. The former governor of Michigan appointed Frank Torre to serve as a board member of the Michigan Natural Resources Trust. In addition, Frank Torre served on the boards of the Detroit Urban League, a human services and advocacy organization which provides critical services to disadvantaged citizens and promotes leadership of service initiatives to the greater Detroit community. 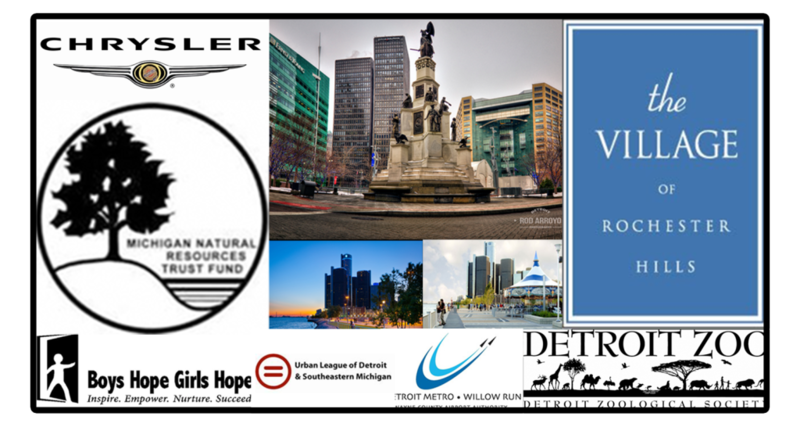 and Detroit Downtown, Inc., an organization formed by corporate, civic and philanthropic leaders, which develops and implements innovative programs and initiatives to enhance the Downtown Detroit neighborhoods.